Covington’s Jack Shell coaxes his putt toward the hole. 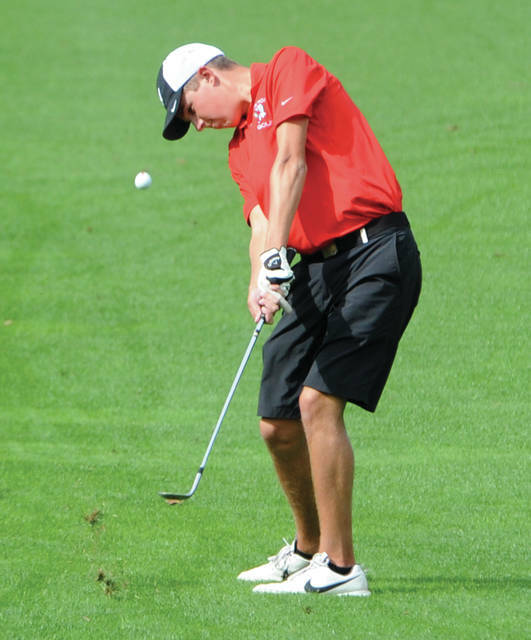 Newton’s Garrett Peters hits an approach shot Tuesday at Echo Hills. 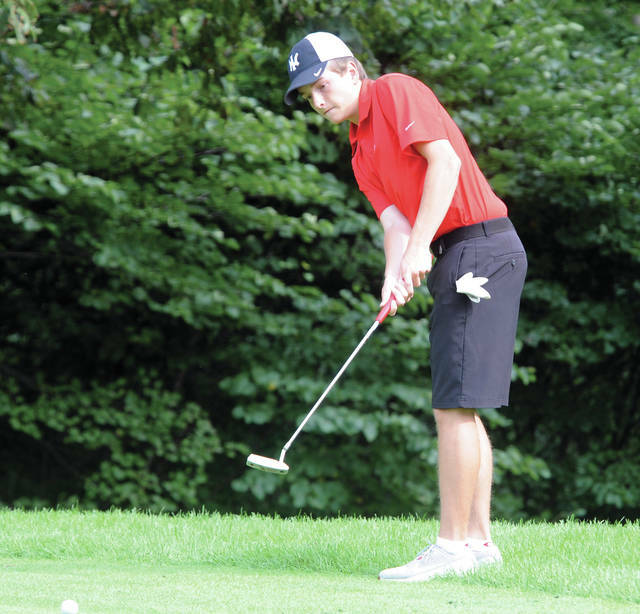 Covington’s Grant Humphrey chips onto the green in a match with Newton Tuesday at Echo Hills. Nate Zielinski putts from the fringe for Newton. 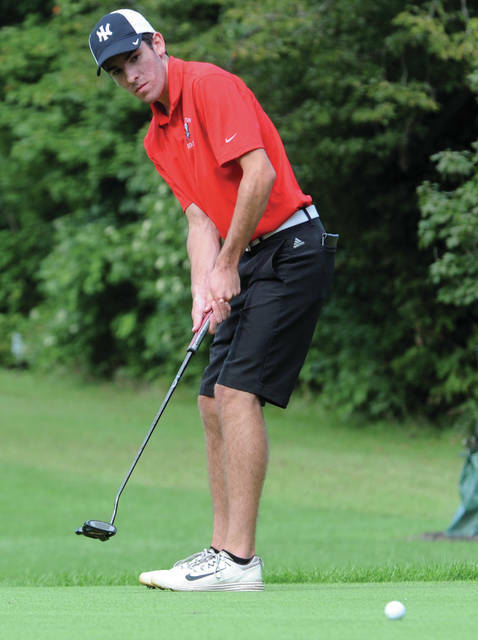 Covington’s Dylan Lucas watches his shot on to the green. 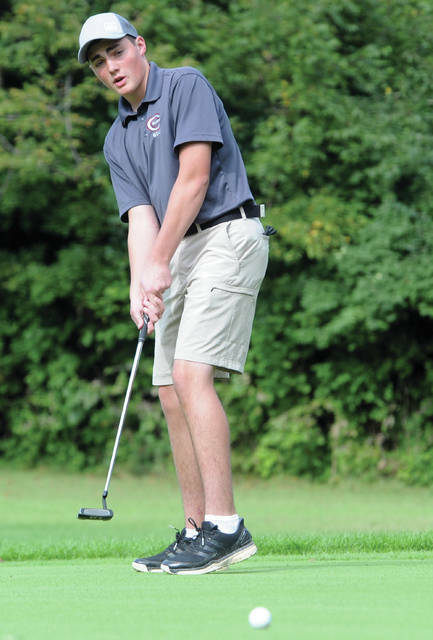 The Newton boys golf team kept rolling in its defense of it CCC title from a year ago, while a young Covington team continues to show improvement. 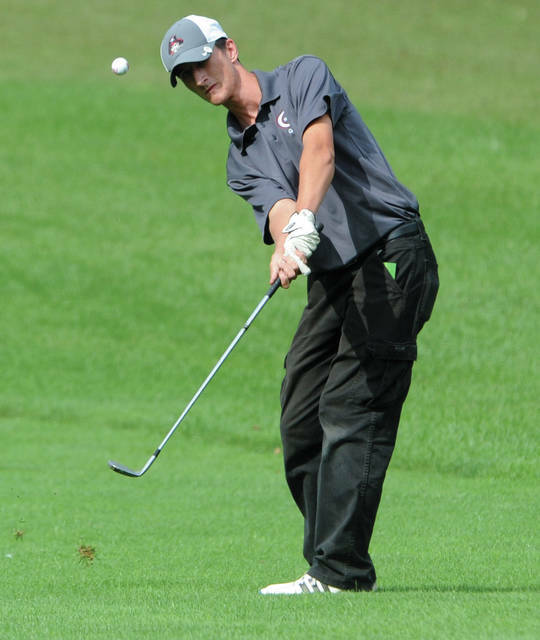 And Indians senior Chet Jamison saved his best for last, taking medalist honors with 37 on the back nine of Echo Hills as Newton defeated Covington 164-204. And Jamison capped his round with an eagle on the par-5 18th hole. He hit driver and 5-wood to about 10 feet, before sinking the putt for his third eagle in a match this season. He also birdied the par-5 12th hole. Other Newton scores included Garrett Peters 40, Ross Ferrell 42, Nate Zielinski 45, Kleyson Wehrley 48 and Britton Schauer 49. Jamison said the team aspect is also a good thing for Chet Jamison as well. Covington looks to continue to improve. Grant Humphrey and Jack Shell led Covington, with each shooting 48. 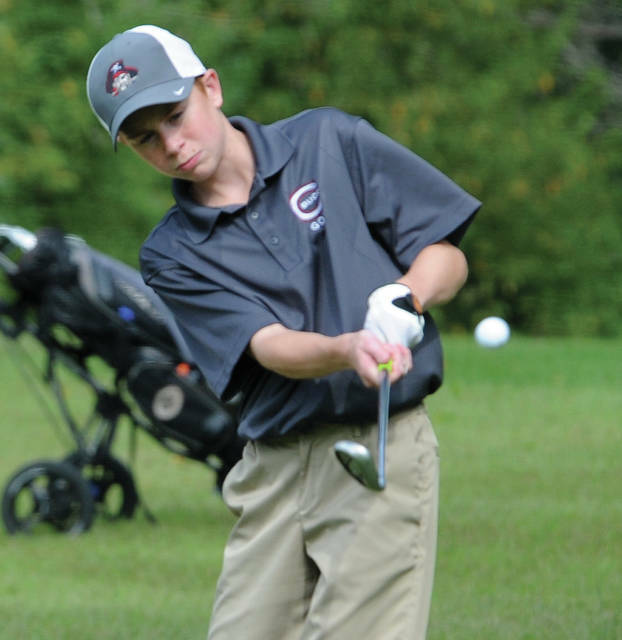 Other Covington scores were Dylan Lucas 53, Hunter Alexander 55, Job Morgan 61 and Thomas Kuether 61. Newton was back in action today, hosting Arcanum and Tri-County North at Stillwater Ridge, while Covington plays Ansonia at White Springs Thursday. Which appears to be driving towards another CCC title and going deep into the postseason.